Up until a few weeks ago I’d never eaten a freshly laid hen egg. 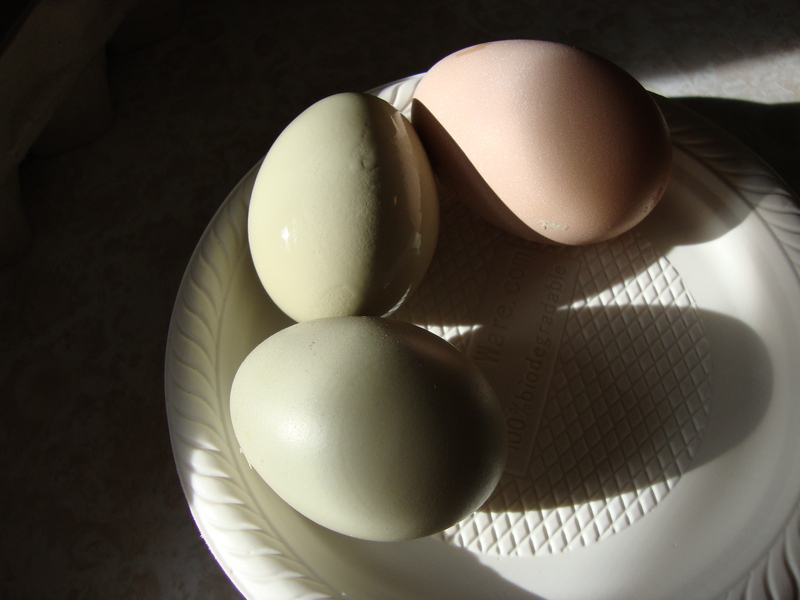 I’ve bought plenty of eggs directly from farms at farmer’s markets. And I’ve ordered dozens of dishes with farm-fresh eggs at locally focused menus (Craigie on Main, TW Food, Straight Wharf Restaurant). But fresh, right-from-the-coop eggs? Never. And now, I’m flush. Or I should we. Our office and the crew at Island Creek are literally swimming in extra eggs. We have six lovely chickens (lead by the large black-feathered mistress, Rachelle) who have been laying like fiends. Billy Bennett checks their pen a few times a day (as do Cory, CJ, and Skip whenever they pass by) and step into the the office carefully cradling 2, 3, sometimes 4 eggs gingerly in their palms. Defying all chicken myth (I’m hearing more and more these days) that hens only lay when there are 14 hours of sunlight or with the help of a heat lamp, our girls are on a speedy daily rotation. Perhaps its their diet. Billy feeds them razor clams, which they love. They also peck away at the oyster shell driveway picking up whatever meaty bits they find along the way. The result has been really durable shells that are actually tough to crack. And the yolks are a deep, marigold yellow – unlike anything I’ve ever seen out of a grocery store. As the color promises, they taste richer too. Dense and earthy. Almost meaty when cooked. Even raw, they’re thick and don’t ooze easily, more like a lava than a watery trickle. 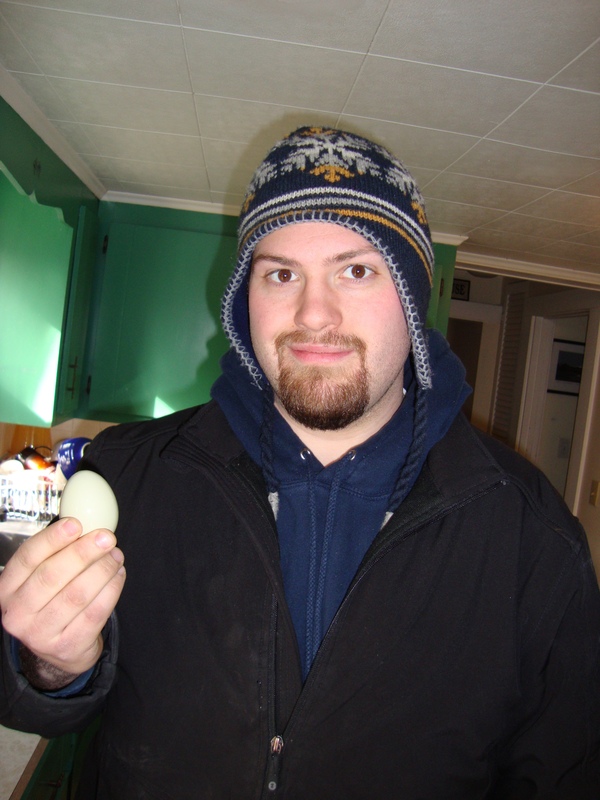 The other day, Cory confessed that he picked up a faint “fishy” flavor to the eggs. Not sure I’d agree with him but I love that there’s that possibility. What I love even more is that I’ve gotten so close to my food that I can literally pick an egg out of a coop (or an oyster off the flats) and eat it for breakfast. Can’t wait to get started on the ICO garden.